Sontag Shogun is a collaborative trio that makes use of analog sound treatments of foley and tape, and nostalgic solo piano compositions in harmony to depict abstract places in our memory. Textures built from organic materials such as sand, slate, boiling water, brush and dried leaves, both produced live in performance and recorded to weathered 1/4″ tape warm up the space between lush piano themes. All of which is abstracted coolly in the reflective digital space of treated vocals and a live-processed feed from the piano. Bringing us back, like a faded passing scent or any natural emotive trigger, but to where? The wordless journey there will inevitably be more revealing than the destination itself. 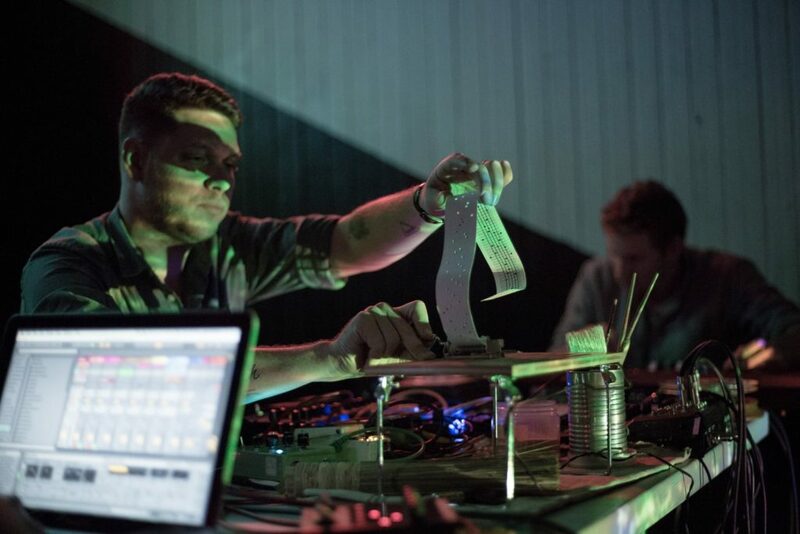 Sontag Shogun has shared the stage with notable artists such as Hauschka, Julia Kent, Matana Roberts, Oren Ambarchi, Aki Onda, David Grubbs, Tom Carter, Ben Vida, Fly Pan Am, Greg Fox, Christopher Bissonnette, Hans Appelqvist, Chris Forsyth, Mountains, Sam Shalabi, Noveller, Helena Espvall, Christopher Tignor, Byron Westbrook, Dawn Of Midi, as well as many others. Maggi Payne is a composer primarily of electronic and electroacoustic music, a flutist, and a video and installation artist. She is a recording engineer/editor, archivist, and historical remastering engineer. She taught composition, electronic music, and recording engineering at Mills College from 1972-2018 where she was Co-Director of the Center for Contemporary Music (CCM) from 1992-2018.. Her works have been presented world-wide. She received Composer’s Grants and an Interdisciplinary Arts Grant from the National Endowment for the Arts; video grants from the Mellon Foundation and the Western States Regional Media Arts Fellowships Program; and was awarded six honorary mentions from Concours International de Musique et d’Art Sonore Electroacoustiques de Bourges and one from Prix Ars Electronica. Her works appear on Aguirre, The Lab, Lovely Music, Innova, Starkland, Music and Arts, New World Records (CRI), Root Strata, Ubuibi, Asphodel, and/OAR, Centaur, MMC, Digital Narcis, Capstone, Mills, and Frog Peak labels.